The vivid Technicolor of That Night in Rio doesn’t come across on the black and white television, and Eliza’s deafness means she cannot hear the music. Yet her imagination is captured purely from the image of Miranda’s screen presence, which seems to eliminate the distance between screen and mind, a refuge of comfort. 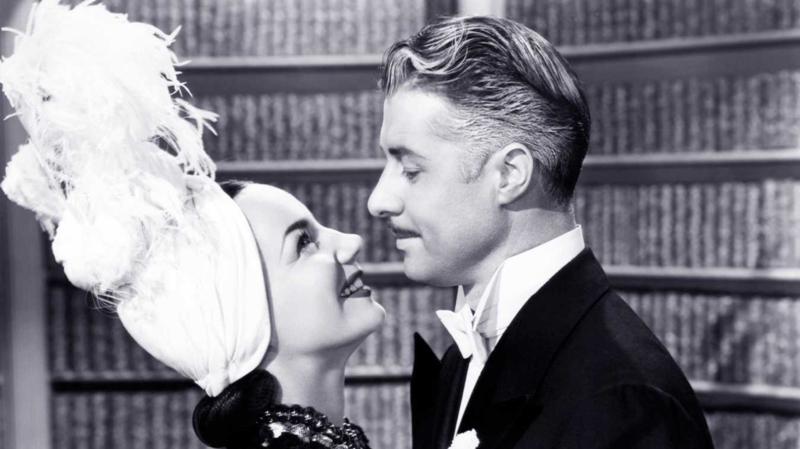 These films allow Eliza, Giles, and anyone else tuning in that evening to travel to a place far away where the biggest trouble is an American entertainer (Don Ameche) hired to impersonate a Brazilian baron (also Don Ameche), and the way that stirs up romantic tension. Escapism doesn’t mean permanently burying your head in the sand, however. In that way lies cowardice and ignorance. But history shows us that this kind of entertainment can have an impact on real world events. That Night in Rio was released right around the time that the State Department sent Walt Disney on a goodwill tour of South America in order to combat those countries' ties with Nazi Germany. It is widely reported that the studio even asked the Brazilian Ambassador to the United States to sign off on the script for That Night in Rio as a way to bolster relations between North and South America. These films – Rio and the Disney productions Saludos Amigos and The Three Caballeros – were wartime hits in the United States, and changed how the two cultures viewed each other for the better. That Night in Rio is a delightful trifle – the kind of bubbly farce that provides easy watching at any time. While the characters (especially both Ameche performances) run around nervously, it is Carmen who commands the attention of the audience and exudes confidence. Her sultry smile and overall electric performance shine in her every scene in Rio, and it is wonderful that she is allowed to remain Brazilian, giving a passionate performance where she throws verbal barbs as deftly as her dance moves. While her legacy is politically and socially complex, there is no doubting her status as an icon. She is a reminder that no matter how bleak the world gets, we need shining beacons of hope in the form of pure entertainment as much as we need acts of resistance. In the face of political instability and dictatorship – during World War II, the Cold War, or today – art for the sake of fun provides a respite for the heart as well as a harbor for defiance.